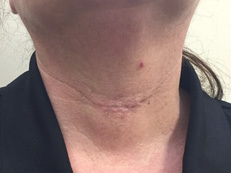 Scar, 2 weeks after the total thyroidectomy for follicular adenoma and additional postoperative findings of micro PTC (1.24.13). 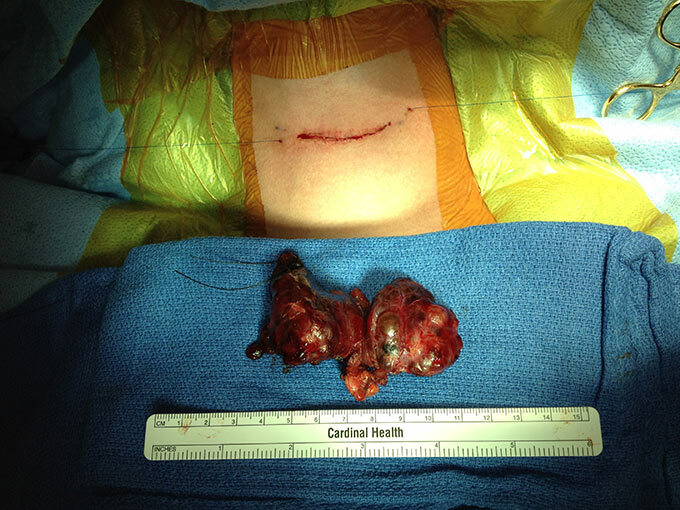 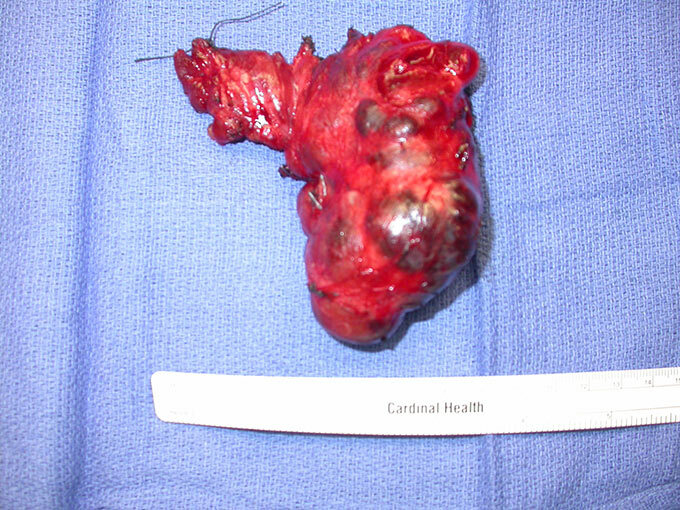 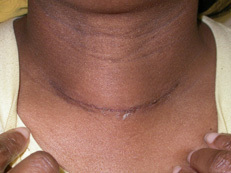 Scar, 1year and 3 months after the total thyroidectomy with central neck (level 6 and 7) lymph nodes dissection for Papillary Thyroid Carcinoma (PTC). 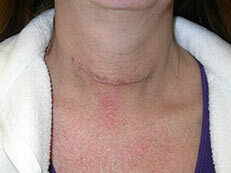 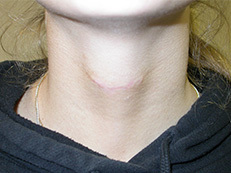 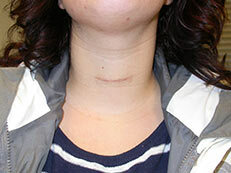 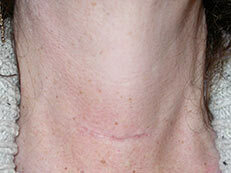 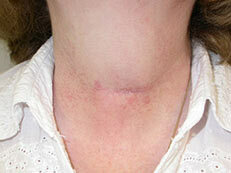 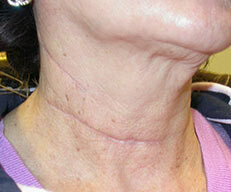 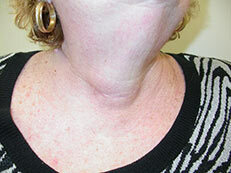 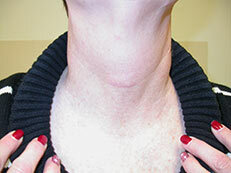 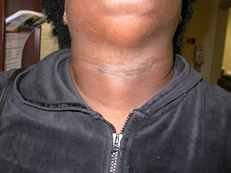 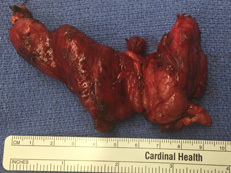 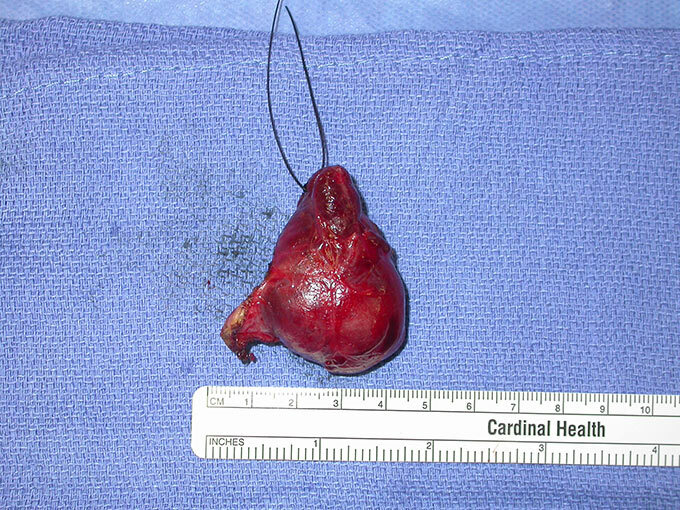 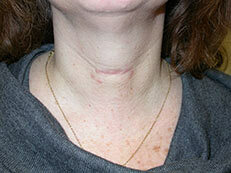 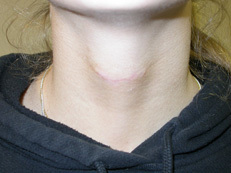 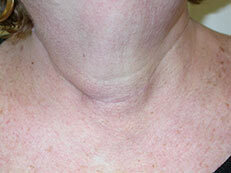 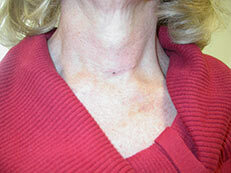 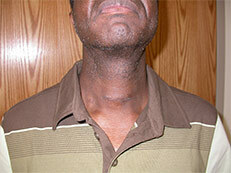 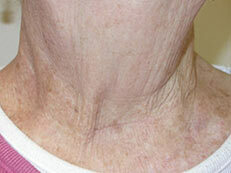 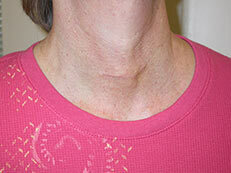 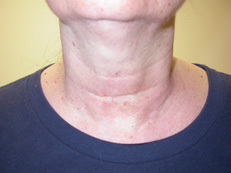 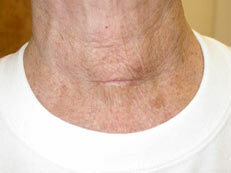 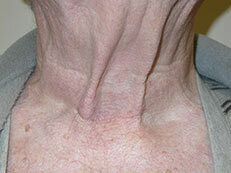 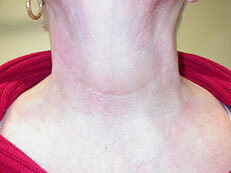 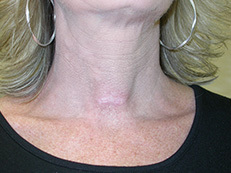 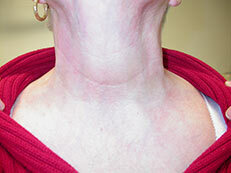 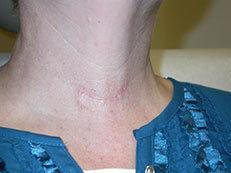 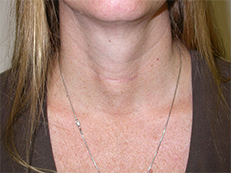 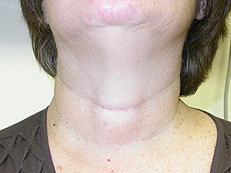 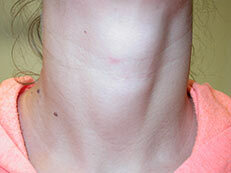 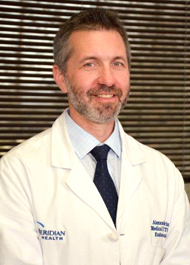 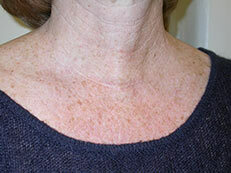 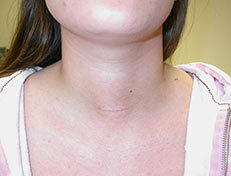 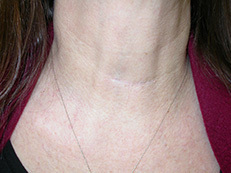 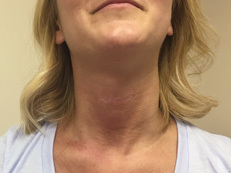 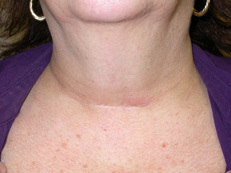 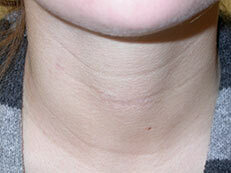 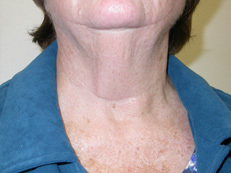 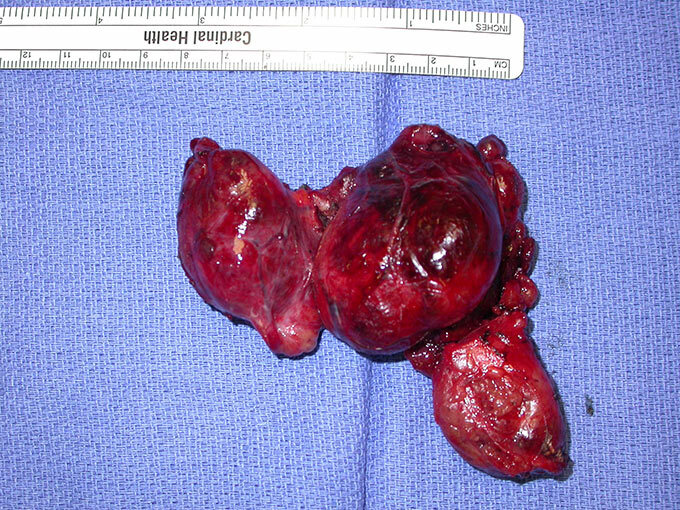 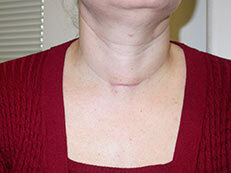 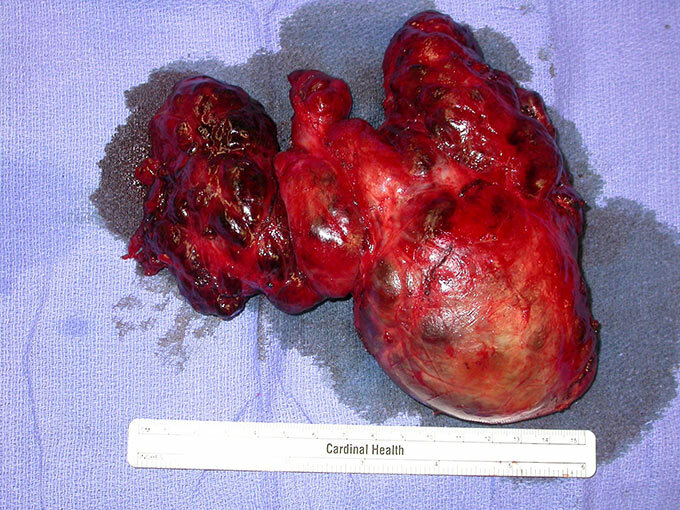 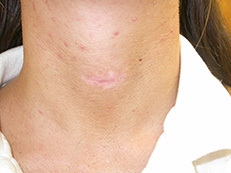 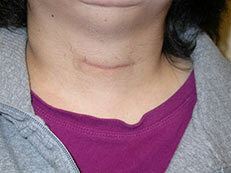 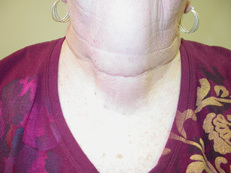 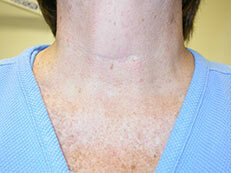 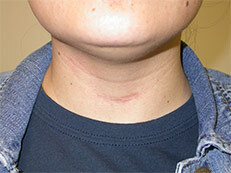 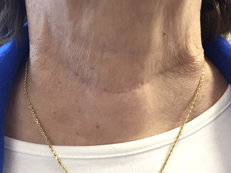 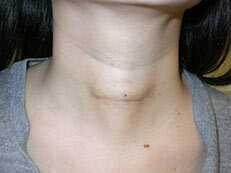 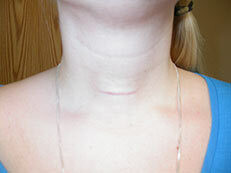 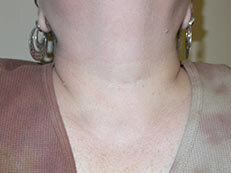 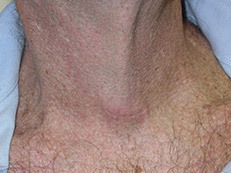 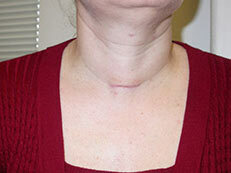 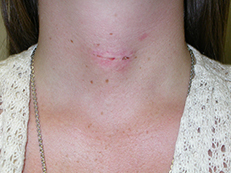 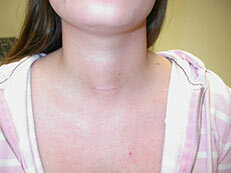 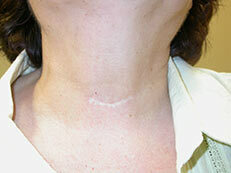 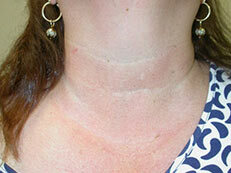 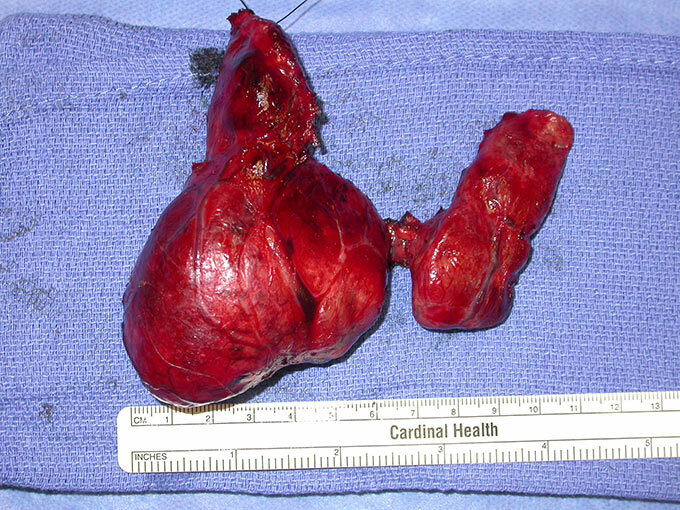 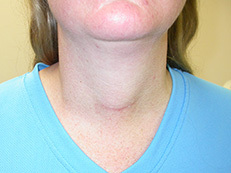 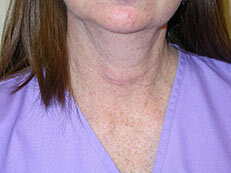 Scar, 2 weeks after a parathyroidectomy for parathyroid hyperplasia with removal of 3 and ½ parathyroid glands, and simultaneous total thyroidectomy for multinodular goiter with findings of a micropapillary thyroid carcinoma. 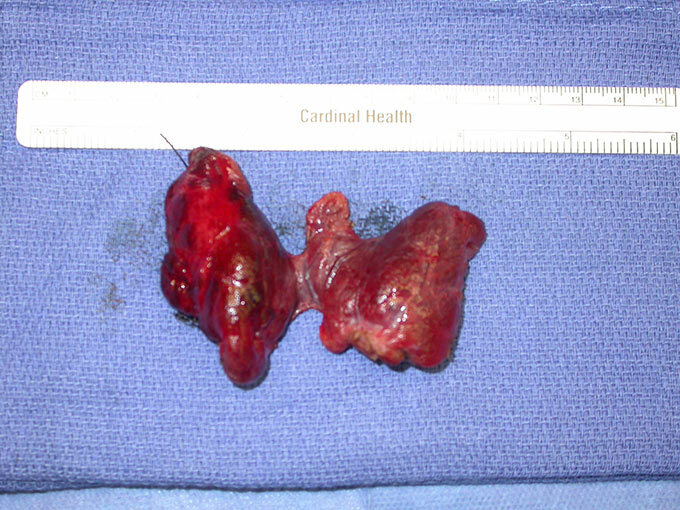 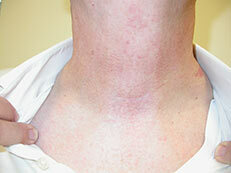 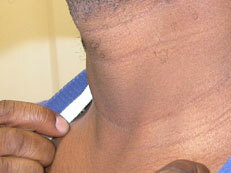 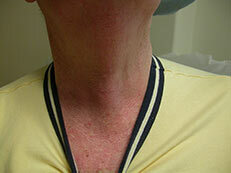 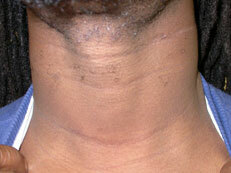 neck lymph nodes dissections in 26 year-old male with widely metastatic papillary thyroid carcinoma. 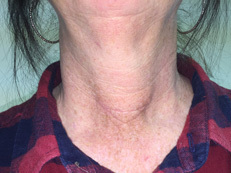 Scar in 2 weeks after total thyroidectomy for 0.7 cm papillary thyroid carcinoma and multinodular goiter in 54 year old female.